One Momma Saving Money: Time to join Amazon Prime! 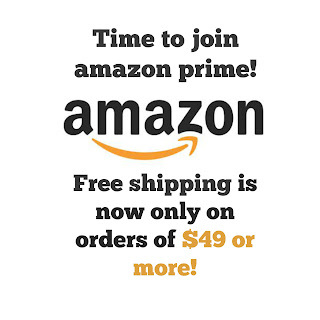 Amazon's FREE Shipping Threshold Now increased to order of $49 or more! Time to join Amazon Prime! Amazon's FREE Shipping Threshold Now increased to order of $49 or more! Not an Amazon Prime member? 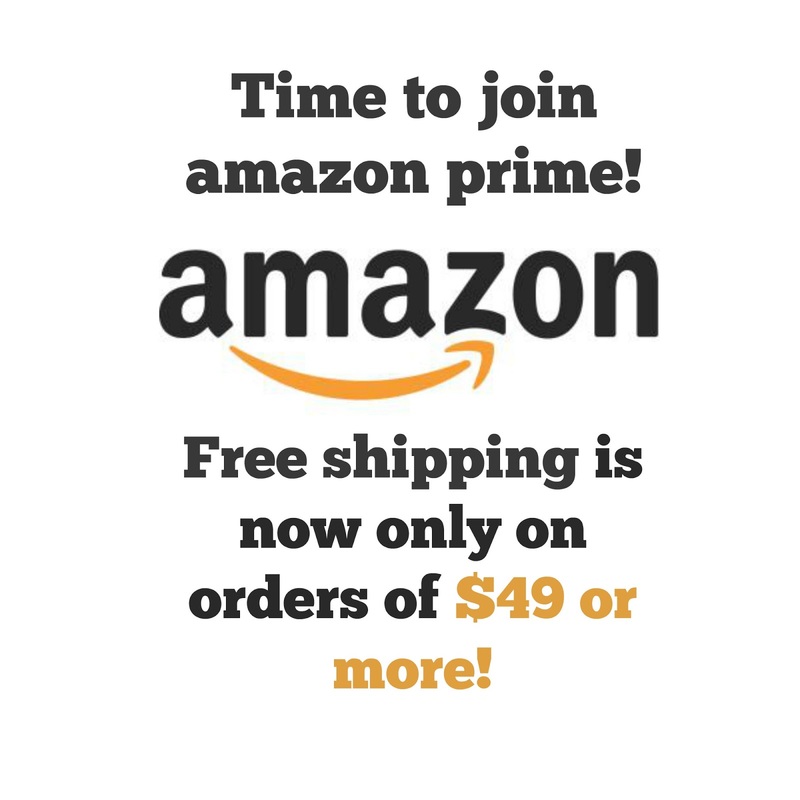 Might be time to consider it, the minimum FREE shipping threshold, for NON-Prime members, has been raised from $35 to $49. Orders including $25 or more of eligible books qualify for FREE Shipping. All orders of $49 or more of eligible items across any product category also qualify for FREE Shipping. With free shipping, your order will be delivered 5-8 business days after all of your items are available to ship, including pre-order items. members will continue to receive free 2-day shipping with no minimum purchase. Receive all the benefits of Amazon Prime including FREE Two-Day Shipping for eligible purchases, unlimited streaming of movies and TV shows with Prime Video, and the ability to borrow books from the Kindle Owners' Lending Library for $99 a year. Prime Photos: Secure unlimited photo storage in Amazon Cloud Drive. Amazon Elements: Access to Amazon Elements products, Amazon's own line of everyday essentials. Prime Early Access: Get 30-minute early access to Lightning Deals on Amazon.com and new events on MyHabit.com. Kindle Owners' Lending Library: access to members in the U.S. Membership Sharing: Two adults living in the same household can create an Amazon Household to share certain Amazon Prime benefits.